Taking over the traditional early September slot from the Shuttleworth Pageant (I hope this tradition of getting all the collection’s airworthy aircraft in the sky returns in 2017) was the Wings and Wheels show. This theme saw extended vehicle displays taking place ahead of the flying allowing collection and visiting vehicles to perform. Flying-wise there was as much variety as we’ve seen all year at Old Warden. 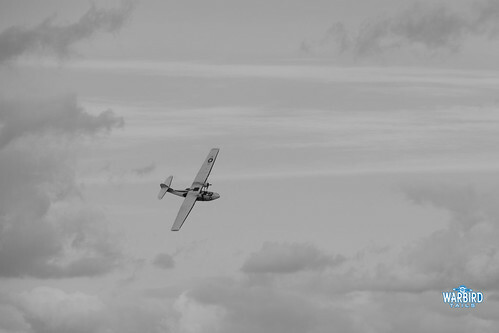 From First World War aircraft to a hang-glider display! 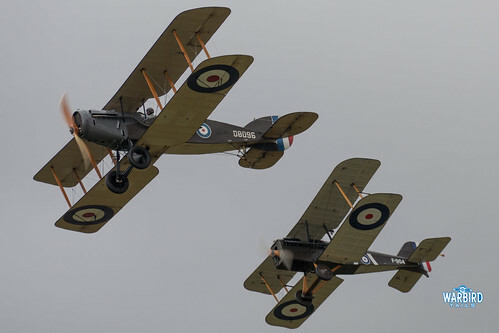 A pair of Hawker biplanes has become a common-place feature of Shuttleworth shows in the last few years but this show saw a change to the formula. 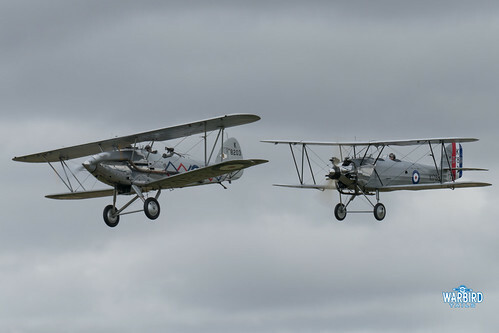 With the Hawker Hind being rested for the 2016 season we saw the Tomtit perform alongside the Demon. 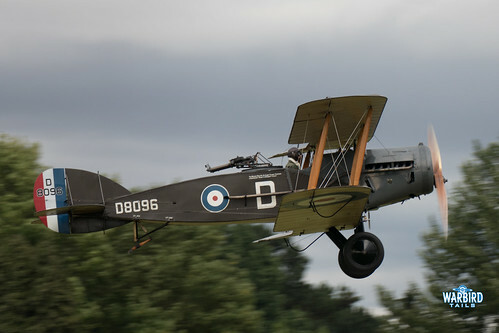 The Tomtit has a rich history having previously been owned and flown by Alex Henshaw and Neville Duke. This pairing was a great twist on a classic tradition and a further reminder of the wonderful aircraft Hawker were creating in the 1930s. 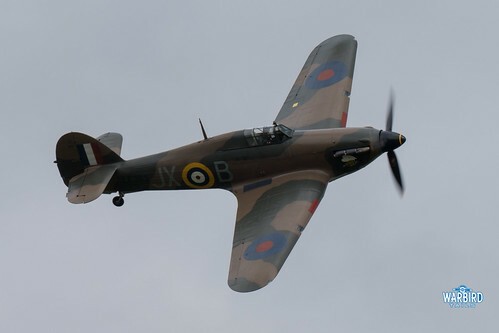 The biplanes were followed by a very memorable appearance from the Battle of Britain Memorial Flight’s Hurricane Mk II LF363, with three flowing topside passes around the bend. The “Percival Parade” which followed saw one of my most memorable sequences of the year. 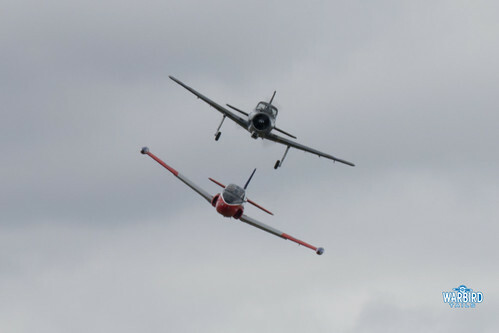 The Collection’s original Mew Gull and David Beale’s replica machine performed a stunning pairs routine. This display close formation flying combined incredible low level solo performances which demanded attention and showed the incredible presence these little racers still have. It was a welcome surprise to see the collection’s Provost perform a series of formation passes with a North Weald based Jet Provost. 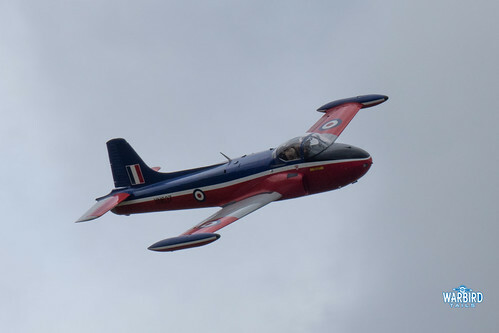 The Jet Provost delivered a very graceful solo routine as well, a welcome sight and a surprise booking. 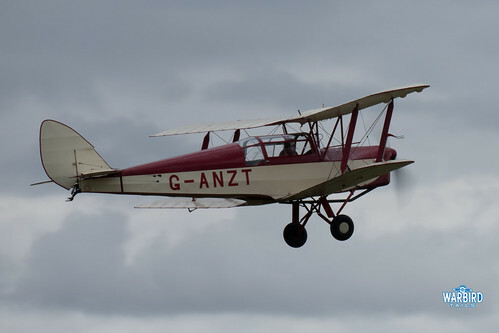 A mock ladies air race took place during the afternoon which saw a wide variety of aircraft take part ranging from a Thruxton Jackaroo to a Cap 232. An act I certainly can’t recall having seen before was the Willis Wing hang-glider. 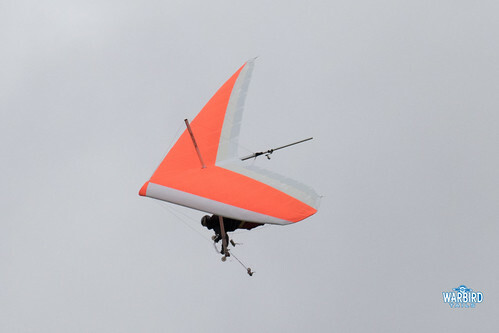 After being towed a lot by a flex-wing microlight the glider made a graceful descent complete with smoke system. I imagine many were skeptical seeing this act on the display programme but judging by the hushed silence during the performance and round of applause after touchdown, it certainly went down well! Modern day aerobatics were well presented by the Blades team, who closed the afternoon’s flying as well as the little and large duo. 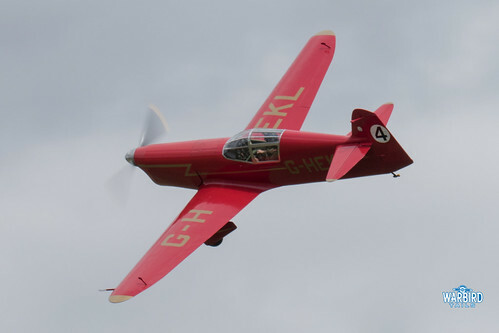 Neither act are common examples of Old Warden acts but both proved to be popular performers. At the other end of the scale there were two great glider displays from the Slingsby Petryl and Fauvel AV36. One of the star visitors at this show was an up-close performance from Plane Sailing’s Catalina which really performed well along the small display line. 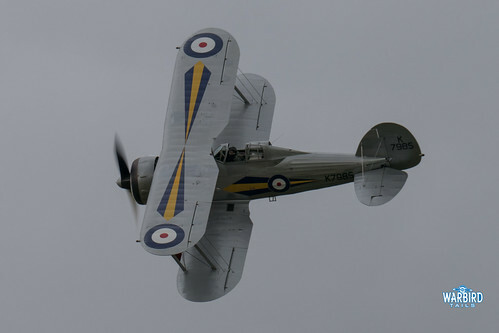 Further Second World War entertainment came from the unique “Mercury Magic” pairing of Westland Lysander and Gloster Gladiator. 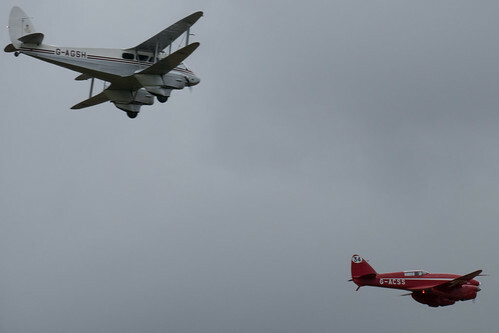 A further dose of 1930s aviation saw the DH60 moth, Parnell Elf and PO-2 display together, along with a solo performance from the Avro XIX. 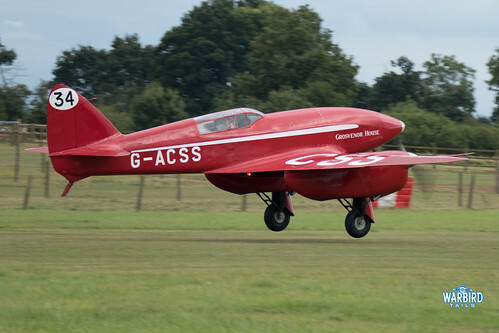 The 30s line up was completed by one of the collection’s star acts, the DH88 Comet which performed alongside the Dragon Rapide before breaking off into one of those iconic Comet solo displays. A welcome sight in the late afternoon saw the SE5a and Bristol F2b taking to the skies. 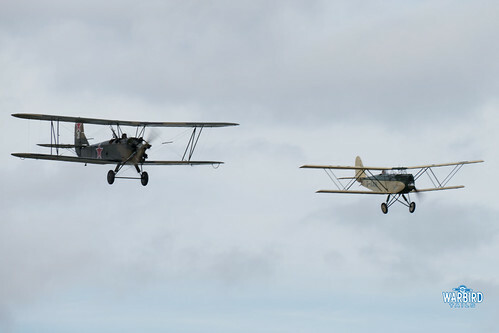 After the previous WW1 themed show had seen winds prevent any flying it was a nice bonus that conditions eased enough on the day to allow these two classic fighters to perform. Overall then another great show with plenty of variety on show. 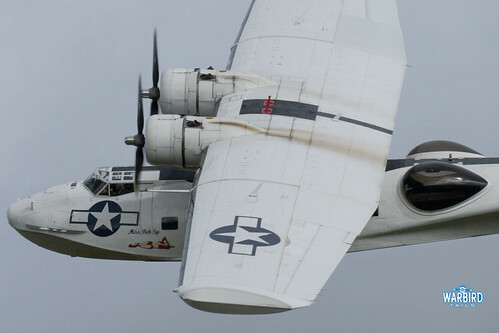 Shuttleworth are really building a reputation for incredible attention to themes with their airshows but there is still room for a classic “variety performance” and the Wings and Wheels show was a great example of that.